I’ve been writing in support of affirmative action in higher education for a few years now; and, with news that the Students for Fair Admissions lawsuits against Harvard and UNC is ramping up its efforts (last week, the group sent a letter to Ivy League universities demanding that it not destroy student admissions records on the basis that it might someday be used as evidence for SFFA), I’m guessing that my writing might again be developing interest. But, one controversy I haven’t touched upon yet is education access at the secondary school level. Specifically, I haven’t yet talked about the heated battle over New York City’s high-stakes testing system for its elite public high schools. This is an oversight on my part, particularly since I was invited last year by filmmaker Curtis Chin (maker of Vincent Who?) to screen segments from his upcoming documentary Tested, which explores the lives of several students hoping to test into the city’s elite public schools, at a time when that high-stakes admissions process is coming under fire for producing schools with racial diversity so abysmal you would think we were back in the pre-Brown v. Board of Education era: last year, Stuyvesant — one of New York City’s specialized high schools — enrolled 7 Black students into a student body of over 3,000. That’s right, seven. That’s not even enough people to build a lacrosse team with. Chin’s documentary, which is in post-production with an anticipated premiere date sometime this spring, looks to be an thought-provoking dive into a highly controversial system of segregating certain students out of the general public school population. In brief, in New York City 8th and 9th grade students — usually kids aged 13 or 14 — have the option of taking the SHSAT, a grueling standardized test; top scoring students are given the opportunity to attend one of the school’s elite public high schools, of which the most famous include Stuyvesant, Bronx Science, and Brooklyn Technical. Chin’s Tested documents how students who take the test — 30,000 students take the test every year but awareness of the SHSAT does not permeate into all communities — submit themselves to hours of grueling study, and many do so by enrolling into one of the many extracurricular tutoring offered by the test prep industry that has sprung up around the SHSAT exam; at Kaplan, such classes start at $900 for a basic package. Meanwhile, we already know from studies of the larger SAT system that standardized tests are both highly economically biased to favour wealthier students, and is of limited value for distinguishing student merit. As a result, even though the SHSAT is available to all of NYC’s public school students, in practice the test advantages students with both the familial and community capital necessary to be aware of the SHSAT, and to support preparation for it. Thus, Chin’s Tested notes that students that successfully test into NYC’s elite public schools typically originate out of a small handful of NYC’s public junior high schools. 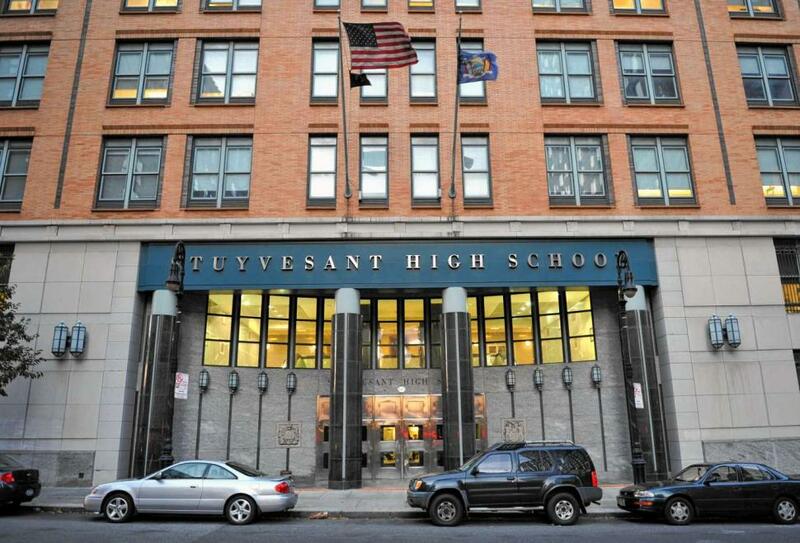 Students at Stuyvesant and NYC’s other selective high school students have access to the City’s best teachers (only 9% of Stuyvesant’s teachers are young or inexperienced compared to 21% for the entire NYC school district). 32 Advanced Placement classes are offered at Stuyvesant; nearly ten times as many as most neighbouring public high schools offer. It would be completely reasonable to characterize this system as a pipeline for segregating New York City’s most-privileged high school students away from poorer, and minority, students; and then using public money to reward them with the best educational resources for those advantages. This argument sounds compelling, when we are given no context with which to compare the numbers presented. First of all, these numbers are inaccurate: a meta-study that includes data from the most recent U.S. Department of Education Office of Civil Rights report says that Stuyvesant’s rate of students that qualify for federal free or reduced price lunch programs is 37%, not 47%. 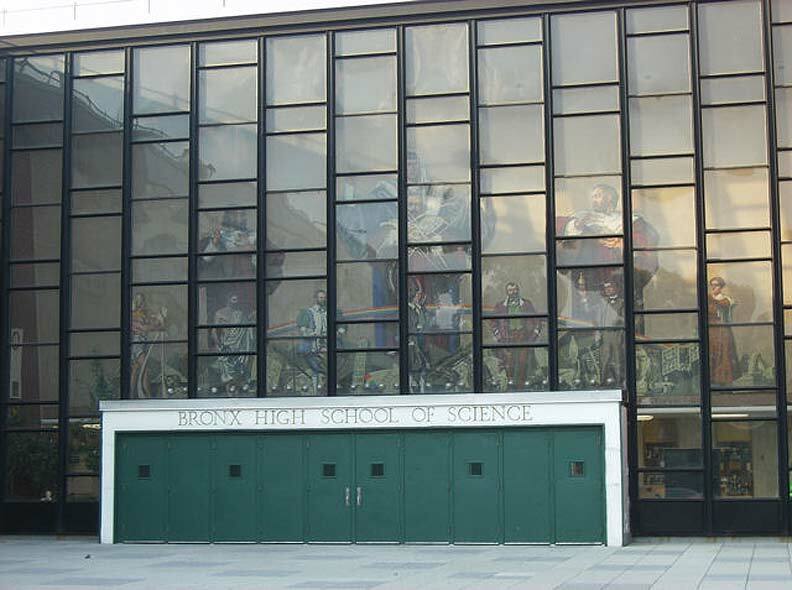 At Bronx Science, 32% — not 48% — of students qualify for free lunches. Of the City’s most well-known elite public high schools, Brooklyn Technical has the most students who qualify for free lunches at 53%. Secondly, political opponents of classroom diversity argue that increasing educational access by expanding admissions critiera to make it more inclusive would hurt Asian Americans. “Why do New York Times and Bill De Blasio hate Asians?” asks one absurdly inflammatory Daily Caller editorial. They argue that these schools are not catering to rich students because half (or really, one-third) of students come from low-income households. What these supporters forget is that in the New York City school district, 72% of students qualify for free lunches; the rate of lower-income students at Stuyvesant and Bronx Science is just about half the district average. So yes, some of the students who test into these schools may be working-class Asian Americans. But, two-thirds of Stuyvesant’s student population (which is also 70% Asian American) don’t qualify for free lunches in a school district where on-average three-quarters do. Some of the students attending Stuyvesant are poor Asian Americans; most are not. NYC’s elite public high schools are absolutely segregated repositories for the City’s economically advantaged public high school students. To characterize these schools as anything else is patently misleading. In that light, we really need to stop allowing the trope of the poor, bootstrapping Asian Americans to be appropriated by anti-diversity advocates as a political cudgel in defense of an unfair system of unequal educational access that flies in the face of all conventional understanding with regard to racial diversity, equal access and the purpose of public services like education. I am not your wedge. Meanwhile, we must ask ourselves: what about all the poor Asian Americans who aren’t testing into Stuyvesant, Brooklyn Technical, or Bronx Science? Only 35% of Asian American students who take the SHSAT are placed into a selective high school; two thirds of Asian American students — including both rich and poor Asian American students — who take the exam (as well as every Asian American student who can’t afford to take it) don’t test into one of the six schools where the best city-wide educational resources are being invested. Do we really want to perpetuate a system that sentences thousands of students — including the vast majority of Asian American students — to neglected, resource-poor public classrooms while we divert all our effort to the children of the top 1%? This is not a system that helps poor Asians. This is a system that hurts all New York City students. For me, the calculus is straightforward: all students — regardless of race or family income — deserve access to quality public education; that mission is even more pressing for public high school students. No system of public education should disproportionately invest in only those students who can afford the time and cost of extracurricular tutoring it takes to score within the top 99% of the SHSAT. Yet, at schools that truly serve impoverished and underserved students, resources are scarce. At one Bronx school where 99% of students qualify for free lunches, only four AP classes are even offered to students. 60% of teachers are inexperienced. It should escape no one’s notice that two thirds of students who attend this school are also Black. Not surprisingly, two years ago, civil rights groups filed a lawsuit against NYC’s selective high school system, alleging discrimination. Last year, newly-elected NYC mayor Bill De Blasio hinted that changes would be coming to the specialized high schools admissions process to address the school’s lack of racial and economic diversity; what those changes might be remain unclear. What is clear, to me, however, is that the status quo cannot continue to stand. Public high schools are intended to be public institutions that provide broad, accessible education for all students. In New York City, Black and Latino families pay taxes — and possibly a bulk of it — into a public high school system that excludes the vast majority of Black and Latino, and yes, even Asian American, children from accessing the best classrooms. We’ve had the “separate but equal” conversation in this country, and we’ve already found it flawed. Thus, I really have to ask myself: it’s 2015, how is New York City’s clearly exclusionary high-stakes testing and selective high school system still a thing?